Welcome to the great smelling world of JOIK. Leave your question here and we get back to you as soon as possible. A delicious mix of coconut and pineapple smells like a perfect holiday on a faraway tropical island. A warm and relaxing aroma. 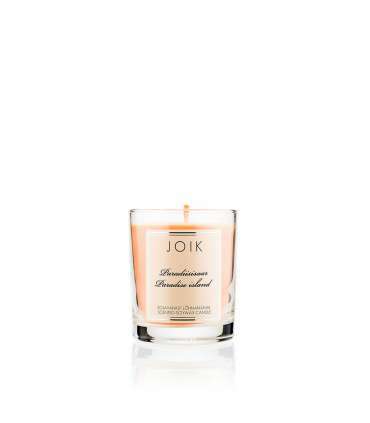 * ALWAYS trim the wick to 5 mm before you light your JOIK candle. This ensures the wick does not ‘mushroom’ and smoke. If the wick is not trimmed, the flame can get too big and the wick can produce smoke - burning a candle under these circumstances can be dangerous and it also damages the quality of the candle burning experience. If you see the flame getting too big or smoking, put out a candle, trim the wick and you can relight the candle if desired. 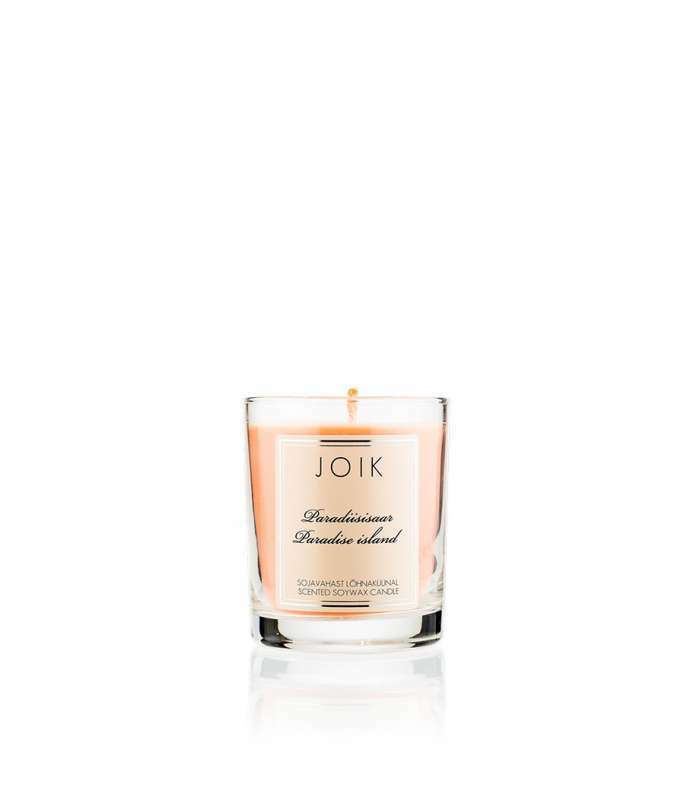 Do not burn your JOIK candle more than 3 hours at a time. This ensures a longer life of your candle. Blowing out a candle can produce smoke - instead dip the wick into melted wax, straighten and re-center for your next burning. 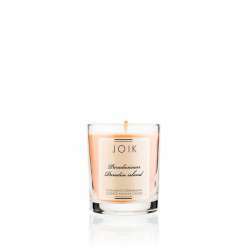 Discontinue burning when you have 1cm or less of wax in your JOIK candle. Always burn a candle on a heat proof surface away from objects that can catch fire. Be careful when moving a burning candle – the class can be hot. Keep a burning candle out of reach of children and pets. Do not burn a candle in a draught. Never leave burning candle unattended! If your glass has got soot around the edge (because you haven’t been trimming your wick...), use a paper towel to gently wipe it off and clean the glass. A delicious mix of coconut and pineapple smells like a tropical holiday. 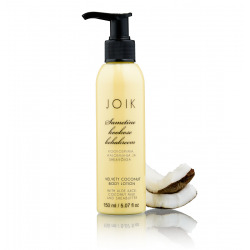 Velvety coconut and pineapple scented body lotion with coconut milk, sheabutter, olive oil and aloe juice thouroughly moisturises, relieves dryness and binds moisture to the skin leaving it silky soft. A joyfully pineapple scented soap with moisturising oils and butters cleans efficiently without drying the skin and provides a nice fluffy lather.